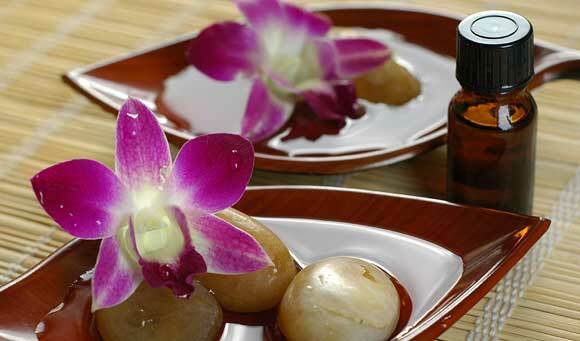 Welcome to... MYHEALTHYTHERAPEUTICOILS - BUYING QUALITY OILS! A QUALITY THERAPEUTIC GRADE ESSENTIAL OIL IS PARAMOUNT! In these days of computers and instant gratification, it's difficult to sift through the mountains of mass information (and disinformation) that is readily available on aromatherapy and essential oils. How are we to know what is 'real' and what is synthetic? Can we believe anything companies tell us anymore? This article will help you filter out the bad from the good and by the time you finish, you'll be an expert on finding the real McCoy every time. How to choose a reputable company? Easy, just look at their pricing! If all the essential oils are the same price, you know they are not therapeutic quality. And cheap pricing usually means cheap quality. When choosing an essential oil there are several variables to keep in mind that affect the quality and the quantity of a particular oil. These variables include the plant variety, soil condition, method of cultivation, time of harvest and even the process of extraction. Be aware that there are many synthetic versions of essential oils (especially more expensive varieties such as rose absolute, jasmine or neroli, as it is much cheaper for companies to adulterate or dilute an oil to make more profit). So choose a reputable company with a lot of positive feedback and make sure to look for the source of the specific oil. Most high quality companies will list their sources and offer many other tests to insure purity. Feel free to email and ask them if they don't offer the information. The second step in choosing an essential oil after finding a reputable company is to make sure they offer gas chromatography testing on all of their essential oils. This procedure involves very expensive and highly technical measurements and computation equipment where a trained chemist will be able to decipher whether or not the sample is genuine or adulterated (and with what , as well as where and even the time of year the oil was produced). When choosing an essential oil note that genuine and authentic oils are always the most therapeutic and will have a much sweeter, fuller, and milder character to them, and only very little is needed when working with therapeutic grade oils. Since much less is needed this may alleviate the pains of spending more for your essential oil as they will go much further than any adulterated oils as well as decreasing the risk of toxicity. Just a note for those of you whining about the pricing of pure therapeutic grade essential oils; It takes approximately 4,000 pounds (that's two TONS) of hand-picked rose petals to make only ONE pound of Rose essential oil...now you know why it is so expensive! A couple more things to keep in mind when choosing essential oils: they should always be purchased and stored in dark-colored glass such as cobalt or amber colored bottles as light and air destroy them. They should always be used quickly, so if you are choosing which size to buy, choose the exact amount you'll need in the time it takes for you to use it within the expiration date. Large amounts may seem like a better deal, but if you're not going to use it in time, why get the larger one? And as stated above when it comes to price, it can tell you a lot about the company's essential oils such as; if you see a company offering a whole range of essential oils for the same price, you can almost guarantee that they have been stretched or adulterated with alcohol, terpenes (which could cause irritation to sensitive skin), even cheaper synthetics or man-made fragrances. Depending on what you're using the essential oil for, therapeutic grade is ALWAYS better! If you've followed all these steps and are still unsure of your choice there is one more thing you can do to test if your essential oil is the 'real thing'. Just get a piece of blotting paper of heavy construction paper and put a drop of the oil you're testing on it; let it evaporate for a few minutes and look at the results. The vast majority of essential oils DO NOT leave an oily ring on the paper (like lavender, cedarwood, rosemary, all citrus and mint oils, etc.) If you notice an oily spot on the paper it may be diluted in a vegetable oil or similar oil. There are few exceptions to this rule such as; myrrh, patchouli and most oleoresins, absolutes and concretes as they have naturally heavy and resinous qualities. GOOD LUCK and enjoy using your pure therapeutic grade essential oils! **************************************************************************************************************** YOU MAY CERTAINLY ORDER OILS FROM THIS SITE... ALL YOU HAVE TO DO IS CLICK ON THE YOUNG LIVING OILS" TAB TO THE RIGHT AND IT WILL TAKE YOU RIGHT TO MY OFFICIAL "YOUNG LIVING" OILS WEBSITE AND THE OILS WILL BE SHIPPED RIGHT TO YOUR DOOR!